Part One has Ridgecrest, Litchfield and Broken Arrow on Indian Lakes Rd in Fallon. Part two is Palomino Valley. This post is simply going to be “barebones.” If you read our website and blog you will see that we have been producing multiple articles and editorials as well as working on several issues (including court ordered Mediation on Access issues). 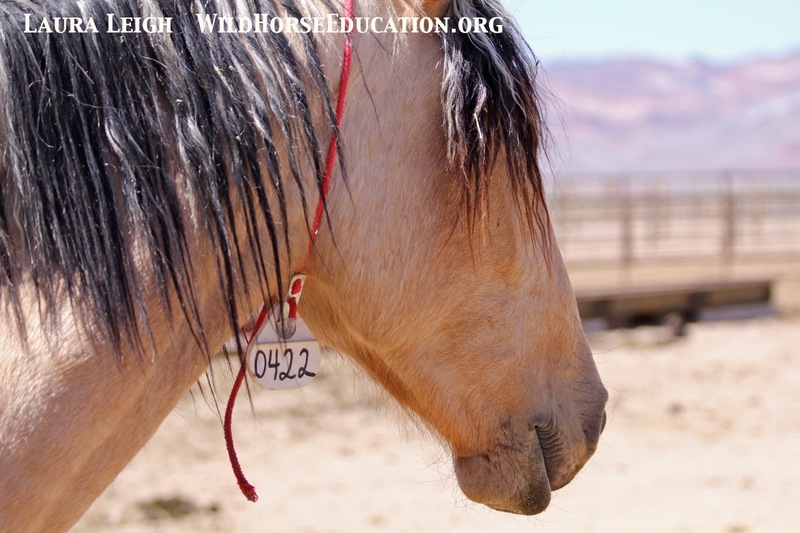 (Please note when requesting that we look up a specific capture day in our archives to try to find your horse be aware that BLM very often does not have a correct “capture” date. The date will usually be sometime within a week of capture and often matches a ship date). Unlike the other facility BLM has in NV Palomino Valley Center (PVC) is open to the public. 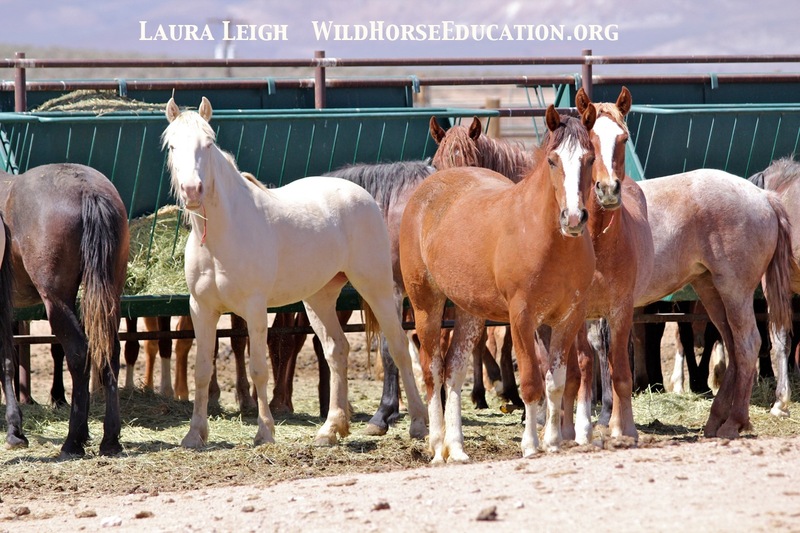 Many of these horses have been at this facility since capture. 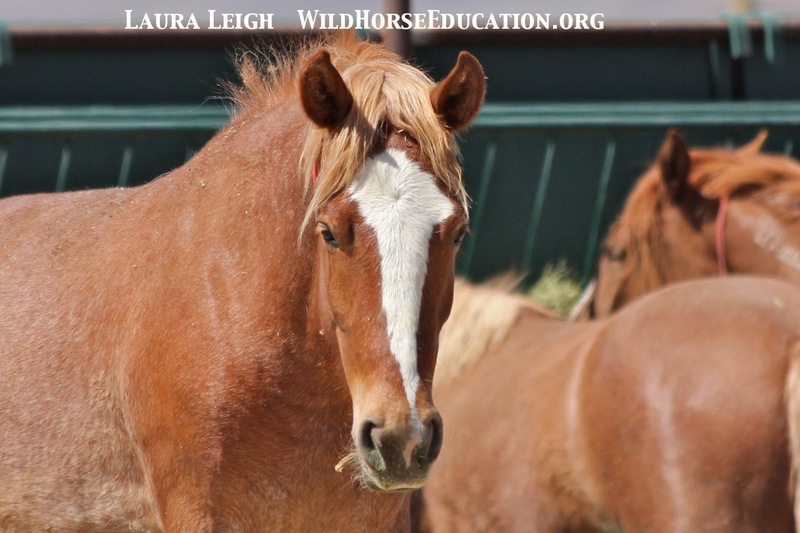 Capture can be as long as three or four years ago depending on the horse (as BLM has had no room in long term holding to ship horses) we have been able to interact with many of these horses over time. 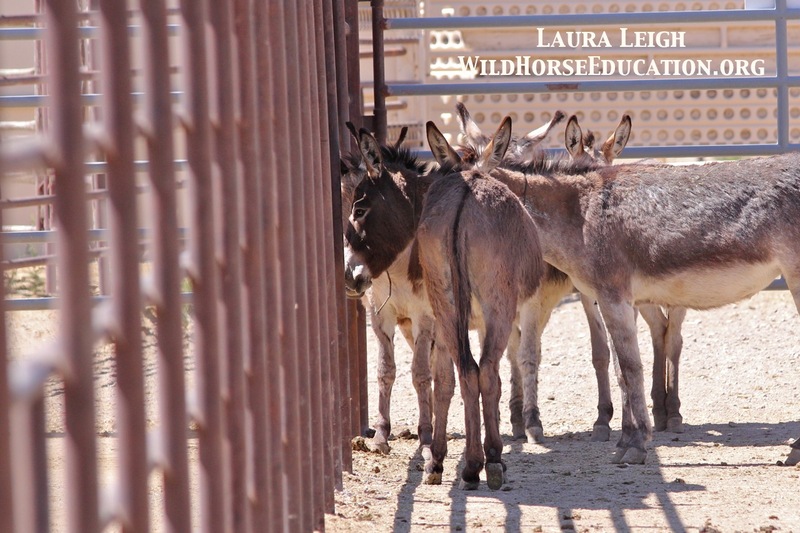 Next we have three burros: #4325 was “born in a facility, #4584 “is an outside an HMA” (likely a Slate, Clark or Centennial) and #5589 from Slate Range. The burros in the Slate range of California were “zeroed out” in a removal from 2009-2012. The burros from the areas that were zeroed out were labelled by BLM genetic expert Gus Cothran as: “The Clark Mountain burros were one of the oldest and most unique wild burro herds in America. Living in relative isolation for four centuries, their genetic tests revealed the herd had a “high proportion of rare variants.” Livestock allotments are still active. Jackson Mountain. Many of these horses were taken days after birth. #8796 is a Desatoya gelding with a bid. On the day this horse was captured BLM took over 140 off therange. A foal died. BLM said it was because he ate too much, too fast. 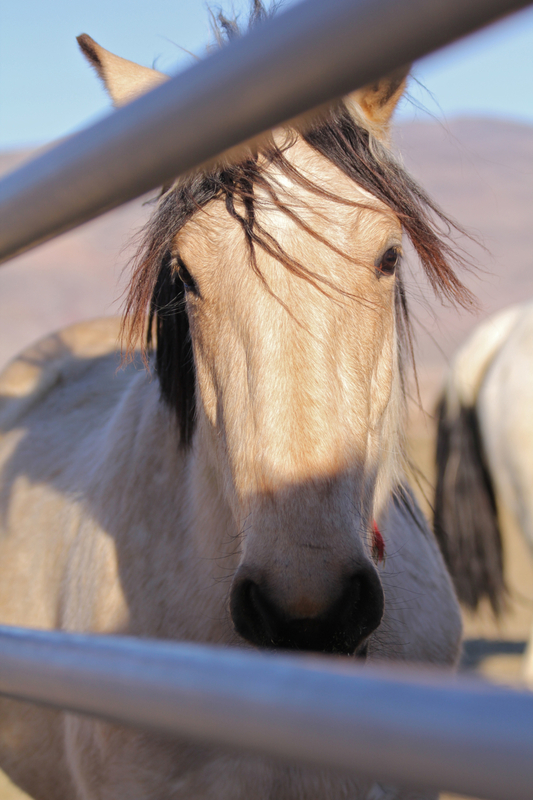 #9695, #9700, #9770, #9977 and #9997 (passed over in the last two Internet adoptions) are all from Owyhee. 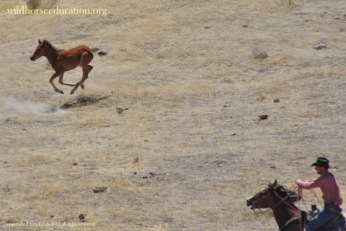 The BLM “gather update page” can be found here: http://www.blm.gov/nv/st/en/fo/wfo/blm_programs/wild_horses_and_burros/Owyhee_Complex_Wild_Horse_Gather_2012.html As you read the page and the “explanations” for conduct, please remember that a federal Judge granted a TRO and issued stern language against such conduct continuing prior to allowing BLM to ship horses from the range. The cases is still active (BLM created a “ten year plan” and we are fighting against unjustified removals, a lack of data and inhumane conduct). The week the other horses from Owyhee were taken the weather was intense. Operations were constantly cancelled due to rain and snow. Wild horses came in steaming so badly you could not see them. #9997 (that has been passed over two times now) is a nice bigger boy. All his buds from the first Internet adoption are gone. This guy will take carrots out of your hand and was playful with his friend. These pictures were taken months ago before he shed out. Please note he does NOT have a stubby tail. BLM cut the tails when they did feet. This is all we have time to post this go around. We will update as time allows and do the Utah facilities and more burros soon. 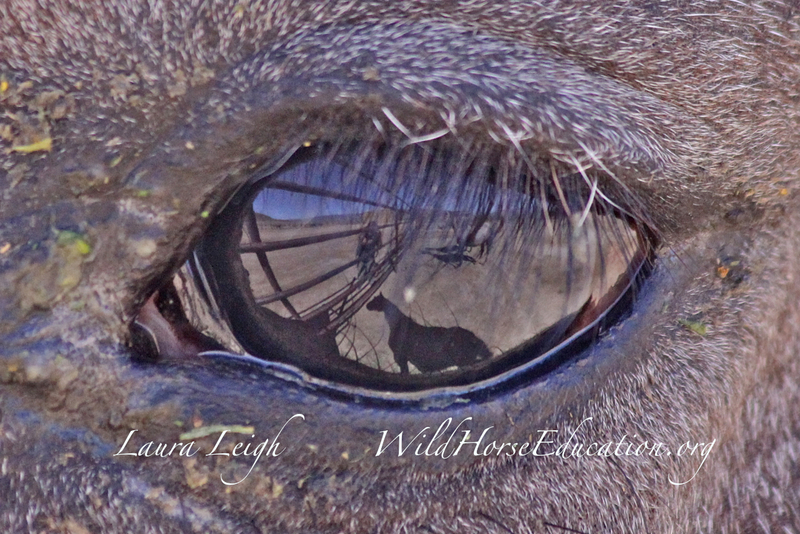 It is very difficult to look at all of the images of the past and know all of these horses so well. 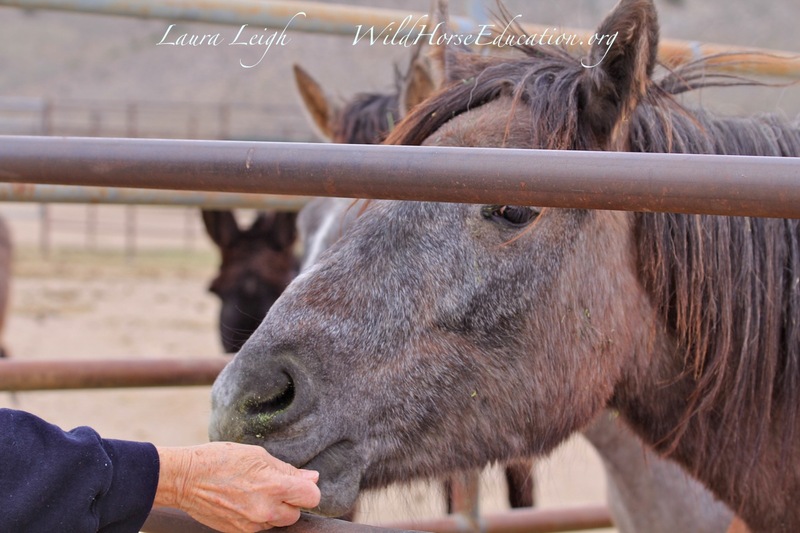 If you adopt a horse from this page we will find your horses story and send you all we have.